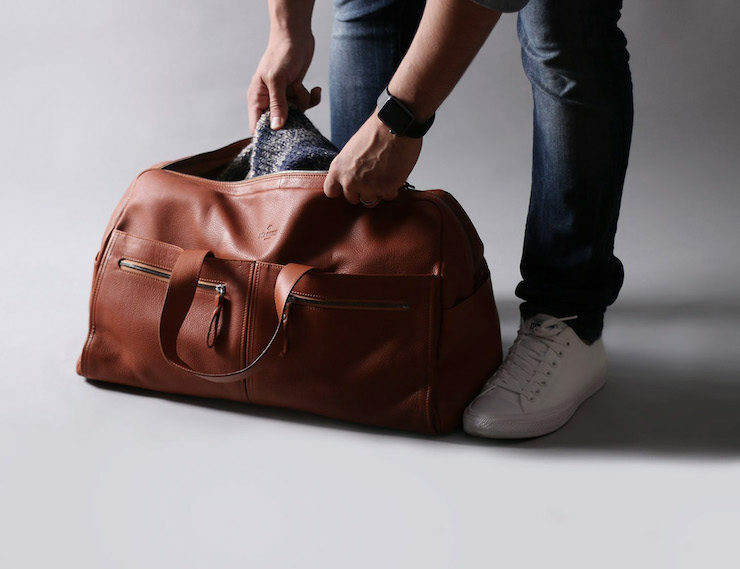 Go exploring in style while keeping your kit in order with the Harber London Mens Leather Weekender Bag. Made from veg-Go exploring in style while keeping your kit in order with the Harber London Mens Leather Weekender Bag. Made from veg-tanned cowhide leather and German microsuede, this bag screams luxury. Every perfect stitch is plain to see, thanks to the work of some expert craftsmen in Spain. But this bag isn’t just a work of art — it’s practical, too.